If you are involved in a power of attorney dispute, be sure to call estate lawyer Charles Ticker at: 1-866-677-7746. As a person ages he or she may become incapable of taking care of his or her affairs and making important decisions regarding property and personal health care. Appointing a substitute decision maker through a power of attorney while the person is still capable is very important. The number of power of attorney disputes has increased over the last several decades. There have been many instances when the attorney has acted improperly or failed to fulfill his or her duties. For example, attorneys under a power of attorney have an ongoing duty to be accountable about the financial decisions they make on behalf of the grantor. There are many situations where the attorney may have abused his or her powers and mismanaged the financial affairs of the grantor. If that happens, it can result in claims or complaints against the attorney, or requests to have their accounts audited in the context of estate litigation. If you are acting as an attorney under a power of attorney, it is important to understand your legal duties to the grantor, and to other parties that have an interest in the affairs of the grantor (for example, other siblings). Power of attorney: when does it come into effect? When a power of attorney comes into effect depends on how it is drafted. It can come into effect as soon as it is drafted, or at a later date when and if a medical professional opines that the grantor lacks mental capacity. The loss of mental capacity can arise differently. It can be gradual (an elderly person suffering from Alzheimer’s Disease) or sudden (such as a person suffering a severe stroke or being involved in a serious motor vehicle accident). A power of attorney for property refers to the power to make financial decisions in the best interests of the grantor (pursuant to the Substitute Decisions Act). These decisions may include any of the following: managing the person’s income and investments on a day-to-day basis, budgeting, payment of expenses, and decisions about the person’s living expenses and place of residence. A power of attorney for personal care refers to decisions governing among other things, personal hygiene, food, shelter, clothing, and medical care (pursuant to The Substitute Decisions Act (s. 46)). A power of attorney for personal care has prohibitions on who can be appointed as an attorney. These prohibitions are put in place to protect the grantor from being placed in a vulnerable situation. Legislation prohibits the appointment (except if the attorney is the grantor’s spouse, partner, or relative) of a person who provides healthcare to the grantor for compensation, or if the person provides residential, social, training, advocacy, or support services to the grantor for compensation. There are different tests to determine if the grantor of the power of attorney has become incapable with respect to property and with respect to personal care. The tests are complex and require the assistance of various parties such as: an estate lawyer with knowledge of estate law, capacity assessors, the grantor’s family doctor, etc. Many people who grant a power of attorney do not realize that it may take effect immediately rather than when the person becomes mentally incapable at a later date. It is therefore important to obtain legal advice from an experienced estate lawyer rather than downloading a “do-it-yourself” power of attorney kit online. Estate litigation issues may arise due to the mismanagement of the power of attorney. They can also arise if there is a dispute among two or more joint attorneys (more than one attorney named in a power of attorney by the grantor) about decisions that must be made jointly. Attorneys may disagree on a range of issues in relation to the grantor such as: living conditions, medical care, or the type of long-term care facility the aging parent should be placed into. It is important to obtain legal advice from an experienced estate lawyer before engaging in any kind of dispute over a power of attorney. Charges and allegations that the attorney is exercising the power of attorney improperly. This may not necessarily be due to dishonesty or other culpability by the attorney, it can be due to a lack of knowledge as to what his or her duties actually are. Conflicts due to multiple powers of attorney granted at different times. It may be that the subsequent powers of attorney were improperly drafted. In this situation it is crucial to determine which power of attorney governs. Counseling for the attorney by an adviser to ensure that the attorney understands his or her duties, is provided with all necessary information, and understands all the relevant procedures related to the position of an attorney. Jurisdiction governing the power of attorney. There is different legislation governing powers of attorney in different provinces in Canada. The requirements to draft a valid power of attorney are important. This may be an issue for people who travel often across provinces, live part-time in another jurisdiction, or own property outside of Ontario. If you exercise a power of attorney, you must ensure that you know and understand your responsibilities and rights. You should obtain legal advice from an estate lawyer. Charles Ticker has over 35 years of experience. 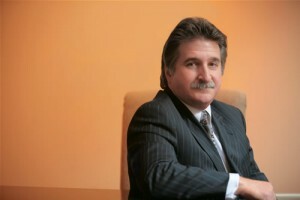 His practice is focused on estate litigation, estate administration and mediation of estate disputes. He can advise you what your rights and obligations are if you are utilizing a power of attorney.